With a wide range of flower types, different colours, and styles we are well suited to take care of everything you want. Our collection of flowers for Mother’s Day, Christmas, Halloween, weddings, anniversaries, birthday or any other occasion will not only make your event colourful but also amazing. Our floral arrangement art makes us the best florist you can trust; being one of the best flower shops in South West London we will help you enhance your day and bring joy and freshness. We will turn and charm that gloomy day around. With our understanding and know-how on your taste, preference, colours, and styles we can ensure all your flower delivery needs are met. With discounts for various occasions like Christmas, Mother’s Day, Valentine’s, Halloween and Easter we give you the cheapest flowers and the freshest flower arrangements you can find locally. We offer quality, inexpensive and well-designed flowers by post in South West London that will not disappoint you. We guarantee you 5 days of freshness. Our passionate florists are always available to help you. You can reach us online and have a look at our huge selection of cheap flowers. We offer various discounts to bring joy and smiles and save you money. Order now and you will get what you want at the most affordable price you can’t find elsewhere. From the florist head tasked with designing the bouquets to the passionate florist who selects, arranges, packs and delivers the bouquets to your doorstep, we have a team of true professionals who will ensure that you have the flowers delivered on time. We can bring joy and happiness to your beloved one or even yourself, just place your order now and we will make sure that you touch the heart of others during that important moment. With years of experience and professionalism, our extremely talented South West London florists bring the best services and expertise we have in the industry. They will use it to make your occasion a memorable experience full of elegance and style. Send flowers now! Our dedicated team are always standing by to answer your call and deliver flowers to your location. We will make it easier for your family, loved ones and colleagues feel happy, appreciated, recognized, remembered and noticed with our same day, next day flower delivery and specific date delivery options. Whether it is your friend’s birthday that will take a month from now or that amazing surprise you want to give to your loved one or even just appreciating someone who is so special to you, don’t have a headache trying to figure out how to do it, we are here to help you get flowers by post on time. We offer flower delivery in South West London that is unmatched by other flower shops. You can view each bouquet online and send the flowers at your convenience. Our florists are always there to update you on every detail about the colours, styles, and types of flowers before you make the best choice. We will make sure that you are aware of every detail and fully satisfied of flowers before and after making flower delivery. You can also easily view the prices and discount available online; compare the flower delivery options and make use of the best flower shop. Send flowers online in South West London and you will not regret it! What about South West London? 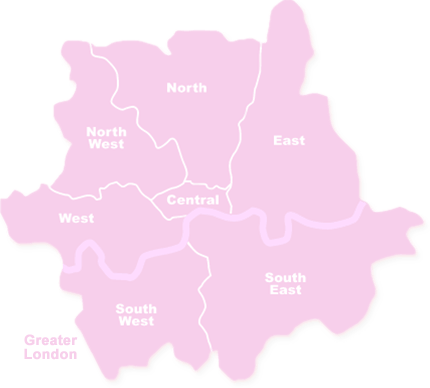 South West London covers the south-western area of Greater London. It consists of the London Borough of Croydon, Lambeth, Merton, Kingston upon Thames, Richmond upon Thames, Wandsworth and Sutton. The most famous attractions in the area are Natural History Museum, Victoria & Albert Museum, Churchill War Rooms, Royal Albert Hall, Craven Cottage, Stamford Bridge, Hampton Court Palace, William Curley Chocolate Workshops, Brompton Cemetery, Banqueting House, Strawberry Hill House, The Royal Botanical Gardens at Kew. Events worth visiting include Kew Gardens Orchid Festival, Affordable Art Fair Battersea and the Chelsea Flower Show.